Since the invention of the radio, American families have gathered around the heath of the house daily, clamoring around an electric conduit of entertainment. History has developed the American hearth in time, from radio to television and film, and now, to the Internet. Since its inception, the American hearth’s form has changed, but one constant has remained—NBC. If the social, emotional, and cultural importance of Television, Radio, and Film are likened to a literal and metaphorical hearth, then NBCUniversal is the fortress in which this hearth was built. In 1926 David Sarnoff founded the National Broadcasting Company (NBC), making it America’s first permanent radio network. NBC ruled the Golden Era of Radio in the 1930s, and Sarnoff was busy developing television for NBC. In 1939 at the World’s Far, Sarnoff presented regular television service on behalf of NBC. Meanwhile, Universal—founded by Carl Laemmle in 1912—was producing huge blockbusters that garnered Academy Awards. The two media companies would hold America’s attention independent of each other until their merger in 2004, at the hands of their parents General Electric and Vivendi. Comcast, however, bought the entire NBCUniversal assets from GE and Vivendi in March 2013. The merge augmented Comcast’s power to produce, and distribute media, a move critiqued by Susan Crawford as being too monopolistic. “‘Comcast [is] in a prime position to be the unchallenged provider of everything — all data, all information, all entertainment — flowing over the wires in its market areas’”. Despite naysayers, the merge proved fruitful as NBC emerged as No. 1 in adults 18-49 for the Primetime Season 2013-14 year; the first time in over 10 years that NBC earned this superlative. The list of assets owned by NBCUniversal, and through extension Comcast, is expansive. NBC Cable boasts the names of well-known cable networks like Bravo, E!, USA, and Syfy; while NBCU has four broadcast assets—NBC, NBC News, NBC Sports, and Telemundu. NBCU’s unwavering dominance in the TV industry has allowed the company to look inward at the current way their business operates, specifically their relationship to advertisers. No matter the client or project, however, NBCU remains focused on retaining the bold, and effective brand their audience knows well. On February 24, 2016, NBCU announced a reworking of NBCUx, a development that allows programmatic buys for advertising clients on the company’s linear TV networks. NBCUx uses NBCU’s Advanced Targeting Platform to pinpoint correlations between the ad’s audience and the clients’ consumers. NBCUx aids clients in understanding which ad slots are most cost efficient and worthwhile. Prior to the 2016 announcement of NBCUx, NBCUx was first used by a few select clients on NBCU’s digital platforms after the company’s 2015 Upfront. Since then, the success of NBCUx has been noted by Mike Farrell of Multichannel, who writes, “With ATP, NBCU has demonstrated that ads have a higher reach, and are more efficient as they are run across the entire portfolio”. Khrishan Bhatia, EVP of Business Operations and Strategy, noted that last year NBCU’s digital growth was comprised of 40% video. In turn, 40% of that 40% came from programmatic sources. The 2016 expansion of NBCUx enables clients looking to buy ads on TV to forgo the traditional Nielsen model, which uses demographics ratings. NBCUx is pioneering programmatic buys in the TV world. Bhatia told reporters, “It’s the industry’s first national programmatic TV offering at scale”. NBCUx will be NBCU’s main talking point at their May 17, 2016 Upfront in New York City. NBCUx is working hard to pinpoint valuable customers and audiences of TV, something metadata and cookie mining is already helping many online platforms do. The advertisements on online platforms, however, lack what the television advertisements do possess —ads that make people want to get up and buy a product. On the subject of advertisements, Jim Bankoff, charmain and CEO of Vox Media details, “‘awareness creation, identity creation, brand building [are] the kind of things that television and magazines have been good at, creating that experience and telling marketers’ stories’”. Understanding this dichotomy, NBCU is utilizing its 2015 $200million investment in the digital publisher, Vox Media, to reinvigorate the online ad-viewing experience. The synthesis of this partnership is an inventory tool called Concert. Concert guarantees brands advertisements that are mutually beneficial for both parties, utilizing “data targeting and a large, fraud-free audience that results in performance that’s 12 times what the average banner ad delivers”. Bankoff elaborates, “…now marketers who are looking to build brand can take advantage of the capabilities but can have beautiful advertising that performs well for them that doesn’t irritate—and actually delights—the audience…”. Between all of NBCU and Vox Media’s online properties, Concert will have an audience of over 170 million people, with a majority of that audience being an extremely valuable demographic—Millennials. Continuing to optimize their relationship with advertisements, The NBCU Content Studio was created with brands in mind. Specifically, NBCU will utilize the celebrity brands they have, like Jimmy Fallon of The Tonight Show Starring Jimmy Fallon, and Bobby Moynihan of Saturday Night Live to create content for companies looking to promote their own brand. The NBCU Content Studio enables companies to fulfill the growing need to publish their own branded video content across multiple platforms like, Snapchat, Facebook, YouTube, and their own website. The clients will be able to utilize NBCU’s “creative talent, data, distribution and scale (including its partners BuzzFeed, Vox and AOL)”, while putting a representative of NBCU Television in front of the audience. The NBCU Content Studio is an example of NBCU’s understanding of the cogent convergence of brand and media. Looking at the future of NBCUniversal indicates the same strong emphasis on online platforms as the company is doing currently. Specifically, in April 2016, NBCU and Amazon reached an agreement for the latter to carry SeeSo as part of their Amazon Prime bundle. SeeSo is a comedy-only streaming service which features NBC sitcoms and other syndicated comedy programs. SeeSo’s potential success, or lack thereof, will help inform potential future endeavors of the company into OTP streaming services. NBCUniversal’s May 17 upfront will be a critical moment to test the work the company has done on NBCUx, Concert, and The NBCU Content Studio. By buying into NBCU’s Upfront, clients will validate or invalidate NBCU’s efforts to optimize the workings of their company and brand. Furthermore, this coming year will serve as a test-run for the three projects. While some clients will leave NBCU’s Upfront with three more tools at their dispense, the work will continue after this year. NBCU’s relentless position at the top of the media industry inspires to make what works, really work. “Credo & History.” NBCUniversal Careers. NBCUniversal, n.d. Web. 22 Apr. 2016. Begins.” TIME. N.p., 14 Feb. 2014. Web. 22 Apr. 2016. ”NBC Finishes No. 1 In 18-49 Demo For 2013-14 Primetime Season.” The Deadline. News. N.p., 5 Apr. 2016. Web. 19 Apr. 2016. Fall.” AdWeek. N.p., 24 Feb. 2016. Web. 21 Apr. 2016. Presentation.” The Deadline. N.p., 30 Mar. 2016. Web. 23 Apr. 2016. Digital Advertising.” AdWeek. N.p., 4 Apr. 2016. Web. 22 Apr. 2016. Baysinger, Tim. “Why NBCU Invested $200 Million in Vox.” AdWeek. N.p., 13 Aug.
Broadcasting & Cable. N.p., 4 Apr. 2016. Web. 23 Apr. 2016. Lynch, Jason. “NBCU’s New Studio Is Creating Branded Content for Viewers Beyond Its Own Platforms.” AdWeek. N.p., 20 Mar. 2016. Web. 22 Apr. 2016. Twitter | digitaltrendsftw on Facebook.” Digital Trends. N.p., 20 Apr. NBC Universal is a subsidiary of Comcast with this article focusing primarily on the television arm of the NBC Universal family. NBC is perhaps best known for broadcast television which includes NBC Entertainment (what people think of when they think of shows like Parks and Recreation, The Office, and 30 Rock), NBC News, NBC Sports, the NBC Olympics, and Telemundo. They also have many holdings in cable including Bravo, CNBC, E!, the Esquire Network, the Golf Channel, MSNBC, NBC Sports Network, Oxygen, Syfy, The Weather Channel, and the USA Network. NBCU also owns three TV production studios which include Universal Television, Universal Cable Productions, and Telemundo Studios. Beyond the network level of the company, NBCU also has various regional television holdings. They own twenty-eight NBC and Telemundo local stations as well as ten NBC sports regional networks across the country. 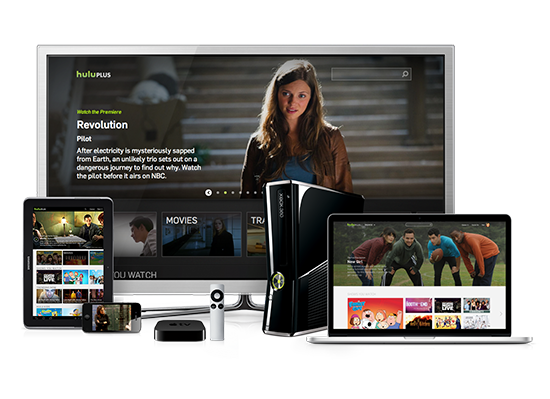 NBCU is also a partner in the video streaming site Hulu. NBC Universal traces its roots to the National Broadcasting Company. NBC was founded in 1926 as a radio broadcasting company by the Radio Corporation of America (RCA). NBC is the oldest major broadcast network in the United States. They began television broadcasts in the late 1930s as one of the first major television networks. NBC Universal was formed when NBC and Universal merged in 2004. The new company was owned by General Electric and Vivendi. Then, in 2009, Comcast announced plans to buy a controlling 51% stake in NBCU. The deal went through and GE owned 49% of the company following the acquisition. In March of 2013, GE divested its stake resulting in Comcast owning 100% of the company. Comcast continues to own the entirety of NBC Universal to this day. Comcast stock has been on the rise over the past three months. As a whole, the stock has climbed by about $5. In their 2015 Quarter 3 earnings report on October 27, NBC Universal has also been doing well as part of the Comcast portfolio. NBCU revenue increased 20.8% and NBC ranked as number one among adults 18-49 for the fifth summer in a row. NBC also won the opening two weeks of the broadcast season for the fourth straight year among adults 18-49. The biggest story right now for NBCU is the imminent launch of their new internet streaming comedy service called Seeso. The service launches on December 3 in a public beta. Users will be able to sign up with an e-mail address and the service will be free for the first month. After this initial beta, the service will cost just $3.99 per month. Rather than targeting broader demographics as services like Netflix or Amazon Prime do, Seeso aims to target a more narrow market: comedy fans. NBC hopes to use the service to mine the value of its comedy programming like Saturday Night Live, and all of its late-night comedy programming. This service won’t just recycle content that’s already aired, however. Its biggest selling point is the original content. The service will launch with 20 original programs in its first year alone. Dan Harmon, best known for creating NBC’s Community and Adult Swim’s Rick and Morty, will be a driving force behind the creation of original content for Seeso. Beta members will also get access to a live stand-up comedy special “The Guest List: Live From The Barrel House” which will stream on December 8th, exclusively on Seeso.7 NBCU mentions that the service will be available in full in January including access to connected devices, however it does not specify which devices (AppleTV, Roku, Amazon FireTV, etc.) it will be available on. Over-the-top services are the story right now for NBCUniversal. In October, Amazon and NBCU were rumored to be in talks about creating a live-streaming option on Amazon’s popular Fire TV platform for NBC content. The option would allow users to access NBC content live as well as on-demand via Amazon’s set top box. Nothing has yet been confirmed by either Amazon or NBCU, however just a few weeks ago, CBS launched its “All Access” service which allows for CBS on-demand and live content on the Fire TV. It is more than likely that NBC will be soon to follow. Important to note is that NBC News already has an Amazon Fire TV app which allows for viewing of live and on-demand content, but this applies only to news content. It does not include NBC’s vast collection of entertainment content. The rumored new application would allow for the entire NBC collection as well as expanded live programming options. As NBC looked forward at the beginning of its fall season, they were counting on old, reliable shows to bring them the numbers they’d gotten in the past. As usual, The Voice, The Biggest Loser, and Dateline returned as perennially successful programs. Sunday Night Football also continues to be number one in primetime ratings and will continue to be broadcast through the fall season. NBC’s fall slate of shows, however, has seen relatively low ratings across the board. The Player, receiving a dismal 0.83 rating, already had its order reduced from thirteen episodes to nine before being cancelled. Truth Be Told (0.63) and Undateable (0.77) are already airing Friday nights and are likely next on the NBC chopping block. Grimm is pulling a 0.98 rating on Fridays and is still hanging on in its fifth season. No word yet on its cancellation. Well known for its past live events, NBC is now producing The Wiz! Live to air on December 3rd. In the past, NBC has produced Peter Pan Live, and The Sound of Music Live to fairly good ratings (2.4 and 4.6 respectively) and they hope to capitalize on this “live event” success with The Wiz!. Starring Queen Latifah, Mary J. Blige, David Alan Grier, Stephanie Mills, Common, and newcomer Shanice Williams as Dorothy, the star power is there for a good event. NBC has also secured a variety of sponsorships for the broadcast with some of the same sponsors who funded past live events returning again. The live event should have very little in the way of competition in its Thursday night time slot. A perennial ratings boon for NBC, the annual Macy’s Thanksgiving Day parade did not disappoint in 2015. The three-hour event drew a 12.6 rating, the highest of any program all season. The broadcast also pulled in a 7.0 rating among adults 18-49 which is up slightly from the previous year’s broadcast. 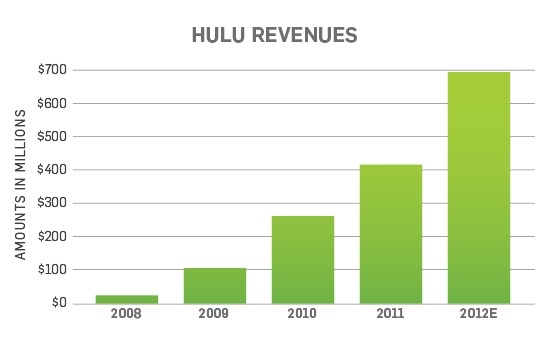 Viewership numbers of Hulu users are measured through the same rating companies that track other media-viewing platforms such as Neilson, Quantcast, and ComScore. According to their findings, viewership numbers are steadily decreasing despite their impressive revenue for the 2012 fiscal year dropping from 19 million viewers in December 2011 to 12 million in August 2012. Hulu’s current content partners (NBC, ABC, Fox, Current TV, ION Television, USA Network, Bravo, Fuel TV, FX, NFL Network, Speed, Big Ten Network, Syfy, Sundance, E!, G4, Versus, A&E, Oxygen and online comedy sources such as Onion News Network) allow the company to distribute their content on the Hulu website while Hulu reaps (on average) thirty to fifty percent of the advertising revenue generated by the shows it distributes. Hulu does have a few of their own original content segments that air exclusively on their webisode-style platform. In 2011, the launch of their first series “The Morning After“, a satirical, comedic news show, on Hulu plus. This marked a moment in the company’s transition from a strictly content-distributing-only business model to one of both content distributing and producing. In January 2012, Hulu announced the release of their first scripted program “Battleground”, a political drama series shot in through a documentary style lens to air on the free Hulu platform to appeal to wider audience numbers. Also included in Hulu’s repertoire of original content are “The Fashion Fund”, a female-audience geared reality series where the winner of the show will receive $300,000 to start their career in the fashion industry, “Up To Speed” a historical travel series, and “A Day In the Life” a documentary series that follows a musician and producer. Hulu continues to grapple with possible methods of surpassing it’s big-name competitors such as Netflix, Youtube, iTunes, and Amazon. To separate themselves from the rest, Hulu aims to keep their content on the cutting-edge and easily streamable for its users. NBCUniversal is a major American media company that owns and operates content across multiple platforms. NBCU distributes content through broadcast and cable television, film, and digital media. The company is owned by the Philadelphia based Comcast Corporation. In 2004 NBC and Universal merged to form NBCUniversal, a company jointly owed by General Electric and Vivendi. In 2009 the Comcast Corporation announced intentions of acquiring NBCU and the venture was completed in January of 2011 when Comcast became majority stockholders. In 2013 Comcast gained full ownership of the media conglomerate after purchasing GE’s minority stake for $16.7 billion. NBCUniversal had a very successful third quarter in 2013. Overall revenue increased 3.9% to $5.9 billion. For the cable networks revenue is up 4% to over $2 billion, increasing 5.4% and 4.6% in distribution and advertising respectively. Broadcast also saw an increase in revenue, up 2.6% due to an increase in retransmission fees. This is an important increase because it is a fairly new revenue stream for the company. In early 2013 NBCUniversal announced plans to launch the Esquire Network on the low performing G4 . However after examining network brands, and with less than a month before its unveiling, it was announced that it would instead replace the female skewing Style Network. With channels like Bravo, E! and Oxygen which tend to perform better with females, NBCU saw the launch of this network as a chance to appeal to a more male audience. Since its debut in late September, Esquire has premiered original programming as well as aired rebroadcasts of NBC favorites such as Parks and Recreation and Late Night with Jimmy Fallon. The new network appeals to a male audience but differs greatly from its direct competition Spike and FX. The target audience is of the more sophisticated male population with many new shows about travel and cooking . Esquire joins the ranks of NBCUniversal owned networks that are programmed around a very distinct brand, allowing them to better target specific audiences for advertisers. On November 13th Comcast NBCUniversal announced the acquisition of the popular children’s cable network PBS Kids Sprout. NBCU already owned 40 percent of the network, buying the rest from PBS and HIT Television Ventures. The company first acquired management of the children’s network in 2011 during the merge with the Comcast Corporation. The new ownership signals a significant change for the network, which will drop PBS from its title. NBCU plans to create much more original programming and mobile content for the network in order to better compete with rival networks such as Nick Jr. and Disney Jr. Overall NBCU has had trouble keeping up with social media content and this acquisition shows a step towards increasing their presence online . By creating original shows for the network NBCU will own all rights and therefore be able to create much more digital content at a much lower cost. Following a successful season in upfront ad sales NBCUniversal has decided to revamp its Advertisement Sales Department . Previously, the company would sell ad inventory on a single network. Rather, they plan to sell ad time based on “demographic and thematic lines” . This way ad reps can offer sponsors distinct audience groups for a more targeted sales approach. Because NBCUniversal has so many cable channels with such defined brands they can use this new sales structure to capitalize on this strength. Networks will be split into two major groups: mass-entertainment programming and lifestyle cable channels. The mass-entertainment channels will include NBC, USA and Syfy while the lifestyle group includes networks like E!, Bravo and Esquire . The department also saw a great amount of layoffs as a result of the restructuring because many of the channels are being packaged together for ad sales. NBCUniversal will air the 2014 Winter Games this February, which will take place in Sochi, Russia. NBCU has been a long time broadcaster of the Olympic games, a deal that has proven very lucrative for the company in the past. Comcast NBCUniversal made a deal to pay $4.38 billion for the exclusive rights to the next four Olympic games. The deal also stated that NBCUniversal would air all the events live for the first time. This is a decision made after the results of the events at the 2012 London Summer Olympics were revealed through social media prior to their primetime broadcast . This year’s winter games will involve six new events: the ski halfpipe, women’s ski jumping, biathlon mixed relay, a figure skating team event, and luge team relays . However, the games have already received a great deal of bad press as a result of strict anti-gay laws put in place by Russian President Vladimir Putin. The politician enacted a national law that bans all homosexual activity and even support . While the International Olympic Committee has ensured that this will not affect the games, many have chosen to boycott the events. It is still unclear as to how this will affect the NBCUniversal coverage of the games. NBCUniversal has made a deal with Virgin Galactic to broadcast the eccentric billionaire Richard Branson’s first commercial flight to space. Multiple networks within the NBCUniversal family will cover the flight, which takes off next year. It will begin with a primetime special of the take off followed by interviews conducted next day on the Today Show. This deal signals a “continued push for live event programming from entertainment channels and news organizations,” an idea that was previously unpopular because of its lack of rebroadcast opportunity. However with the emergence of new media, live broadcast such as this can be very lucrative because it can air across multiple platforms at the same time. This allows companies like NBCU to maximize their reach for a single broadcast. Chief Operating Officer AMC Networks Inc.
Executive Vice President and Chief Financial Officer AMC Networks Inc.
Comcast/NBCUniversal is one of the leading companies in the fields of media, entertainment, and technology. It is under the Comcast Corporation (Nasdaq: CMCSA, CMCSK). This company owns and operates television networks, theme parks, film companies, a sports firm, television stations, and a video, Internet, and phone provider to residential customers and business . The company is essentially split up into two businesses: Comcast Corporation and NBCUniversal. NBCUniversal owns NBC cable networks like Bravo, E!, and MSNBC. NBC Broadcast television has NBC entertainment, news, and sports. NBC Universal also owns television stations in New York, Philadelphia, Washington, and many other markets. Telemundo is also under the umbrella of NBCUniversal, along with Universal Television . How did Comcast/NBCUniversal Come Together? In 1926, the Radio Corporation of America (RCA) formed NBC. At the New York World’s Fair in 1939, NBC unveiled the television and broadcasts . After General Electric became it’s parent company in 1986, NBC had many successful years critically. In 2002, they bought the Spanish language broadcaster Telemundo and Bravo and a year later NBC merged with Vivendi Universal Entertainment to become NBCUniversal . In 2011, Comcast purchased the controlling 51% of NBCUniversal from General Electric for $13.8 billion. Who are the Faces of Comcast/NBCUniversal? The picture above  illustrates the cable and broadcast channels that Comcast/NBCUniversal owns, along with the digital, film, and park entities that it owns. Evidenced by the many cable channels it owns, the company is focused it’s efforts on the surging cable industry. In a visit to Syracuse University’s S.I. Newhouse School of Public Communications, CEO Brian Roberts said that, “the world is changing,” and that, “in terms of profit, cable makes more money.” He did say however that NBC is still the engine for their company and it just as much of a focus as the cable channels are . NBC also owns ten stations across the United States in places like New York, Los Angeles, and Chicago. They also own 14 Telemundo stations in places like Miami, Houston, and San Antonio . What is Comcast/NBCUniversal Doing Today? In the ratings game, NBC won November sweeps for the first time in nine years. However, in February, NBC hit a new low, coming in fifth place in sweeps. Averaging a 1.2 rating among adults 18-49 put them behind Univision‘s 1.5 rating . With shows like “Do No Harm”  preforming with dismal numbers (0.9/3), NBC started off badly. They cancelled the show after airing only two episodes . NBC’s critically acclaimed comedy “30 Rock,” ended its seventh and final season on January 31st this year. Over the many season, “30 Rock” received a whopping 90 Emmy nominations . Often on the show, Tina Fey and her fellow writers wrote what was exactly happening in their life into the show. General Electric employees and “KableTown” executives frequently appeared. In February, Comcast also made a huge deal with General Electric to buy the remaining half of NBCUniversal earlier than intended. For $16.7 billion, Comcast now has entire control over NBCUniversal. This shows Comcast’s newly energized commitment to cable and broadcast television . Recently, NBC has been going through some shake ups with ratings and hosts. “Today” lost out on ratings to ABC’s “Good Morning America.” Matt Lauer has a contract expiring soon that is also up in the air . The most recent problem has been how NBC handled the Jay Leno – Jimmy Fallon debacle (pictured right ). After months of rumors, NBC announced Jay Leno would retire in the spring of next year, with Jimmy Fallon resuming his spot as host of “The Tonight Show” . Also, in February, it was announced that David Axelrod, previous chief strategist to President Barack Obama’s recent campaign, would join NBC News as a senior political analyst . What is Next for Comcast/NBCUniversal? Comcast/NBCUniversal is preparing for the end of a legendary show, for new summer shows to be released, and for the upcoming Fall 2013 pilot season. NBC’s “The Office” will be ending it’s run on Thursday, May 16th at 9p.m. Since 2005, “The Office” has collected Emmy’s, Golden Globes and many other awards in its amazing 9 season run . NBC is beginning it’s summer roll out with Bryan Fuller’s “Hannibal” which averaged a 1.6 rating/4share in adults 18-49 in its premiere on Thursday, April 4. The show got 4.3 million viewers overall, which are not great numbers but good enough considering it’s lead in was the comedy “Go On” . The video below is a season preview for the new show . On Tuesday, April 9th, “Ready for Love,” a relationship show with three bachelors will premiere, with Eva Longoria as Executive Producer  will premiere. “America’s Got Talent” will be premiering its 8th season on June 4, with new judges Mel B and Heidi Klum appearing on July 10th . NBC is also scheduled to premiere their new dramedy “Camp” from creators Liz Heldens and Peter Elkoff, starring “Six Feet Under” actress Rachel Griffiths. It is about Little Hawk family Camp and the parents and kids that inhabit it . “Crossing Lines” is another series scheduled for summer 2013 starring William Fichtner and Donald Sutherland . Comcast/NBCUniversal’s cable networks are preparing for the future as well. The E! network is premiering a new reality show about US gold medalist swimmer Ryan Lochte called “What Would Ryan Lochte Do?”. It premieres April 21st at 10pm . Bravo is premiering “Million Dollar Listing,” “Newlyweds The First Year,” and the ever so popular “Real Housewives of New Jersey,” all in the upcoming months . Over the past few months, NBC has been green lighting and shooting upcoming fall pilots for the 2013 season. With 24 pilots (15 comedies and 9 dramas) NBC has the most of any major network. Some of the most anticipated include “About A Boy” from “Parenthood” creator Jason Katims, “Untitled John Mulaney/Lorne Michaels” comedy from the two previously named, along with “The Office” vet Craig Robinson’s untitled comedy . For drama, “Hatfields & McCoys,” starring Virginia Madsen, “Wonderland,” a modern set Alice and Wonderland, and “Crossbones,” which John Malkovich recently signed onto . Montana McBirney’s notes on Brian Roberts’ visit to Newhouse. Posted in Previous Courses, Television Companies, TRF235.2, TV Business, TV Programming (Broadcast), TV Programming (Cable)	| Tagged 30 Rock, America's Got Talent, bravo, Brian L. Roberts, Camp, Comcast, Comcast/NBCUniversal, Crossing Lines, Do No Harm, e!, Emmys, General Electric, Go On, Good Morning America, Hannibal, Heidi Klum, Jay Leno, Jimmy Fallon, Matt Lauer, Mel B, Million Dollar Listing, NBC, NBCnews, NBCsports, NBCUniversal, Newlyweds the First Year, RCA, Ready for Love, Real Housewives of New Jersey, Stephen B. Burke, Telemundo, The Office, The Tonight Show, Today, Universal, Univision, What Would Ryan Lochte Do?